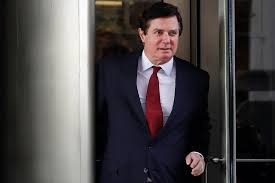 Prosecutors rested their tax evasion and bank fraud case in the trial of former Trump campaign chairman Paul Manafort. The testimony contended Manafort used millions of dollars hidden in offshore accounts to fund a luxurious lifestyle. It was also argued that he later obtained millions more in bank loans under false pretenses. The trial is the first to emerge from special counsel Robert Mueller’s investigation, but it is wholly unrelated to any allegations of Russian election interference or possible coordination with the Trump campaign. The government alleges Manafort hid at least $16 million in income from the IRS between 2010 and 2014 by disguising money he earned advising politicians in Ukraine as loans and hiding it in foreign banks. Then, after his money in Ukraine dried up, they allege he defrauded banks by lying about his income on loan applications and concealing other financial information, such as mortgages. The prosecution has introduced documentary evidence as they’ve sought to prove Manafort committed 18 separate criminal counts. Along the way, they’ve not only faced an aggressive defense team but an impatient U.S. District Judge T.S. Ellis III, who presides over the case. The admittedly impatient judge has pushed the government to speed up its case.